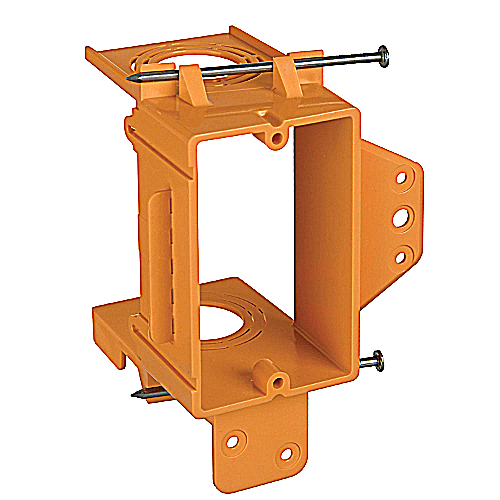 1-gang orange non-Metallic low voltage backless bracket. Resi-rings accept 3/4", 1" and 1-14" resi-gard. Easy nail-on mounting or screw-in bracket, while the hard shell provides increased durability and no racking. Designed to fit a standard single gang faceplate. 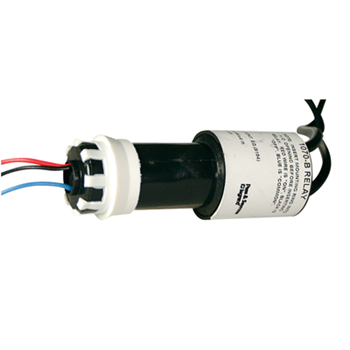 Open-backed to easily accommodate the bend radiuses required for low voltage cabling and deep devices such as volume controls.